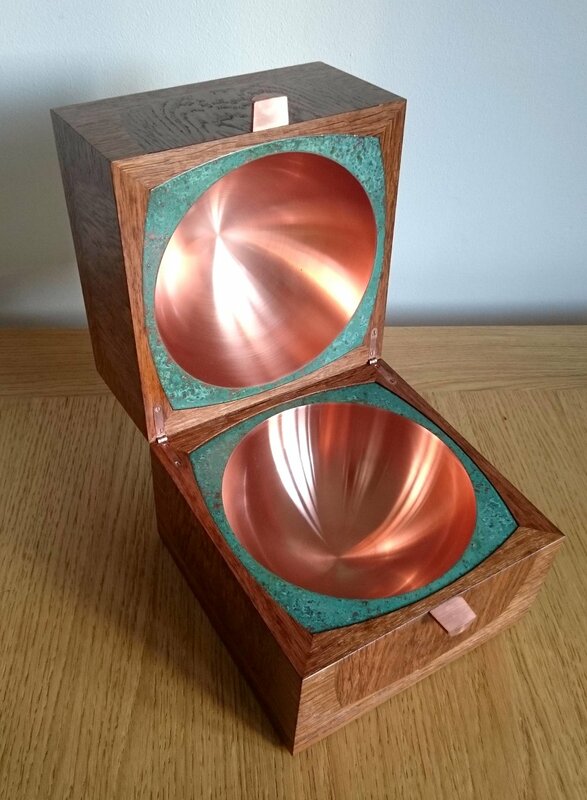 Created to house a new double-walled design of whisky glass made by a start-up company called Norlan - snifter on the inside, tumbler on the outside - the 'uisge' box draws on the unusual shapes in the glass design for its form and the traditional materials associated with whisky production - oak, cork, copper - in its construction. Classical Scottish Gaelic term for 'water', from which the Anglicisation 'whisky' was later derived. The design plays with the idea of different internal and external forms, giving a nod to the angular squares and triangles visible on the outside of the base of the glass, whilst providing a smooth, round, almost edgeless internal space. The box is veneered in brown oak, with curved square panels laser cut, rotated and reinserted, to again reference the duality of the glass form. 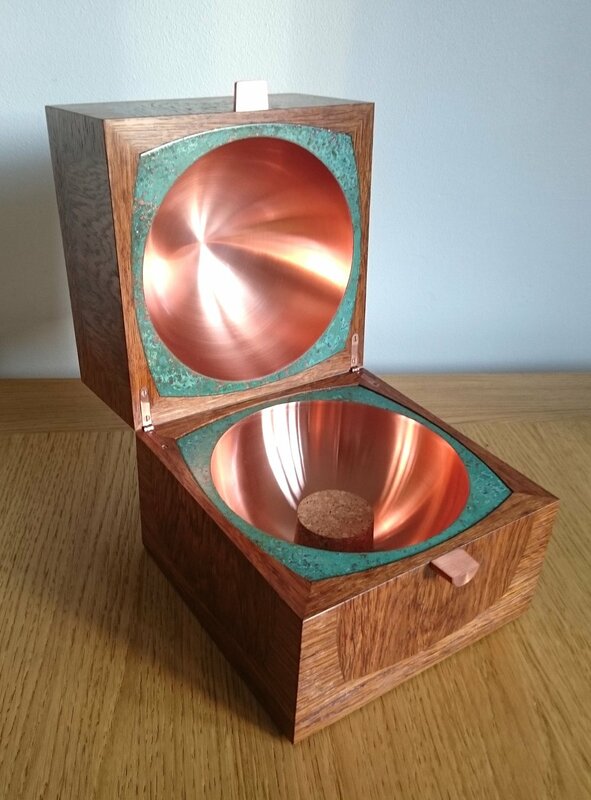 Inside the box, spun copper bowls provide the main storage space, surrounded by patinated copper collars which provide a visual transition between the round copper and square oak. 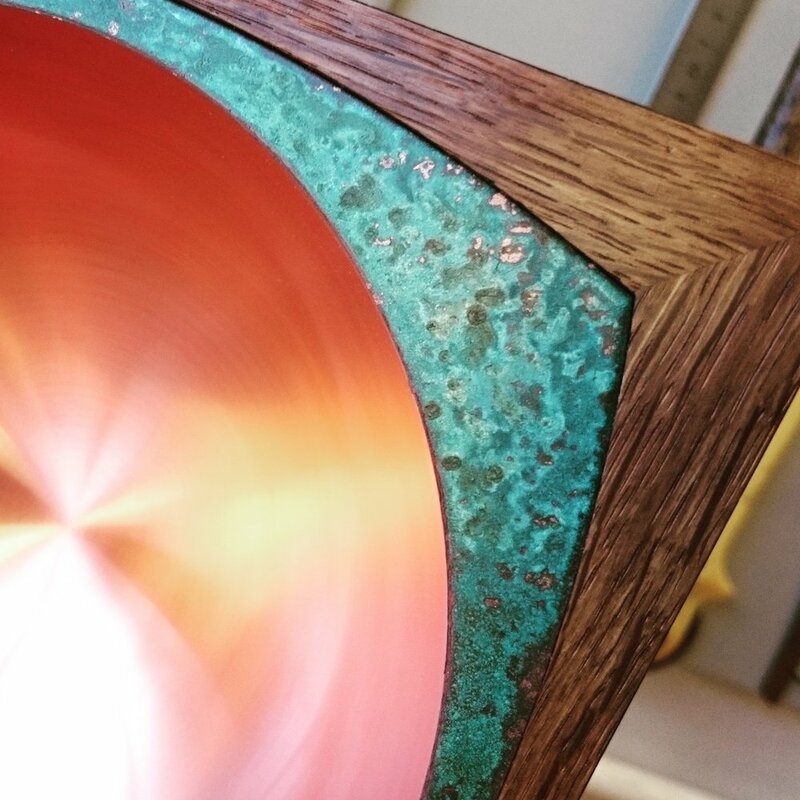 The vibrant bright copper and verdigris inner deliberately contrasts starkly with the comparatively plane brown oak exterior of the box, providing a moment of surprise when the lid is lifted. A magnet locates a cork bung in the lower dish, over which the glass rests snugly when stored. 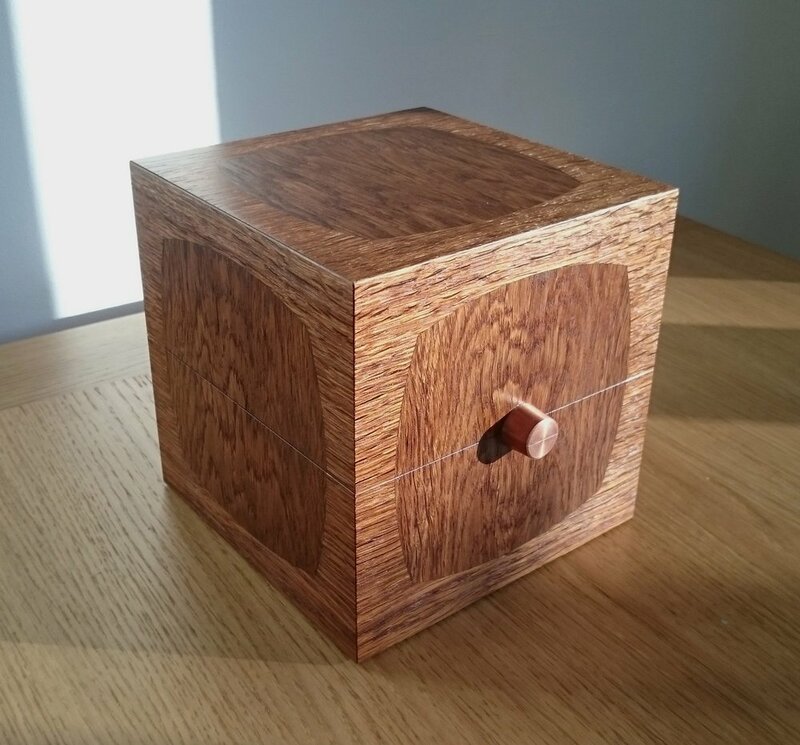 The cork bung can be removed without trace, enabling the box to be used to house jewellery or other small items if so desired.